He thinks Robert Mueller, the special counsel brought in to investigate that allegedly tainted election after Trump fired Comey, will want to explain himself, at least privately. 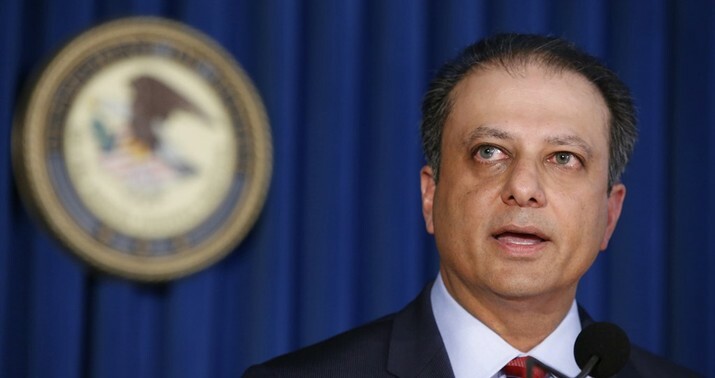 Bharara predicts Mueller will deliver a robust report to Attorney General William Barr that will lay out precisely why and how he decided to prosecute — or not — various individuals swept up in the Russia probe, including the president. Then, he says, Barr will face an excruciating dilemma: how much of the report to reveal to Congress and to the public. Disclose too much, and he’ll anger his boss in the White House. Disclose too little, and Democrats will howl. He sees little chance the Senate would convict Trump even if the House impeached him, barring some major revelations from Mueller. What are the odds, really, that the Democrats decide to move on? The fringe figures have been demanding Trump’s impeachment for two years. Why would they stop now? Here’s how I see this going assuming Bharara is right that the contents aren’t terribly significant: If the full report isn’t released, Adam Schiff and others will string that out, dropping hints that there is some bombshell within. If the report is released, the left will flip out over something and demand further investigation by Congress. That further investigation will keep hope alive for the true believers through 2020. The left will move on the moment Trump is out of office, just like all the anti-war protesters vanished from the streets the moment Barack Obama was elected. The research was conducted by Michael Heaney of the University of Michigan and Fabio Rojas of Indiana University. It concludes that the anti-war movement in America evaporated because Democrats — inspired to protest by their anti-Republican feelings — stopped protesting once the Democratic Party achieved success in Congress in 2006 and then in the White House in 2008. That’s because it wasn’t really an anti-war movement. It was an anti-Bush movement using war as an issue. Collusion has become the same thing for President Trump.